I hope your week has gone well and if you’re in the UK, you’ve been enjoying the beautiful weather we’ve been having, coupled with longer daylight hours. Last Saturday, I went to Sarah Raven‘s Perch Hill Farm for a wonderful day out…all will be revealed in my blog post on Monday. Then on Sunday, hubbie and I made use of our new National Trust membership. We went for a lovely walk in Claremont Landscape Garden in Surrey. Here are a few shots of our time there. 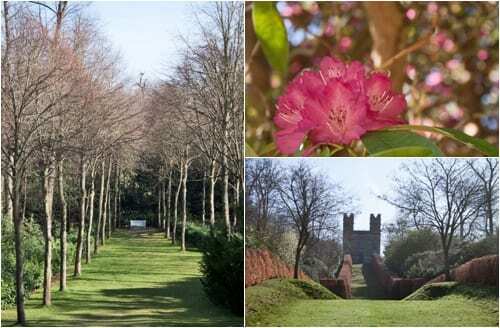 The camellias were nearly over but lots of their rhododendrons were in full bloom. Wrote blog posts and dealt with emails, then met up with a florist friend. 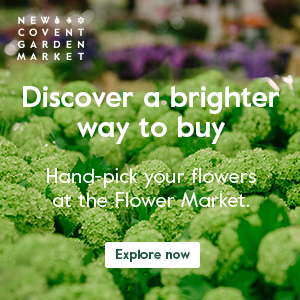 She’d been at New Covent Garden Flower Market when it opened at 3am that morning, made up contract flowers for offices and restaurants, then delivered them. Needless-to-say, she needed a cup of very strong coffee when we met up in the afternoon! 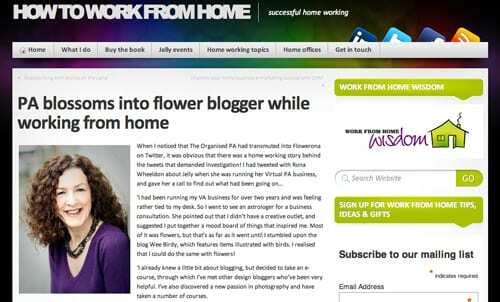 Also on Monday, I was delighted to be featured on Judy Heminsley’s website, How to Work from Home. 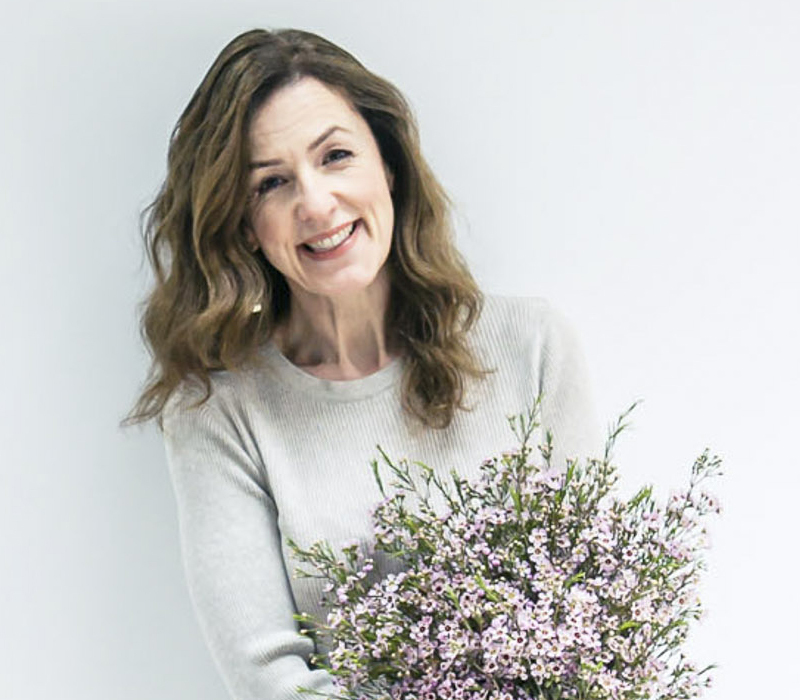 In the morning, I went to the Ideal Home Show at Earl’s Court in London and watched a fabulous floristry demo by Paula Pryke. I’ll be featuring it on Flowerona next month. Spent the rest of day writing blog posts and dealing with emails. Three days where I was predominantly at home, dealing with lots of emails and writing blog posts. I also started putting together my very first Flowerona newsletter which will be going out early next week. If you’d like to sign up, simply pop over to my About page, scroll down and fill in the boxes. 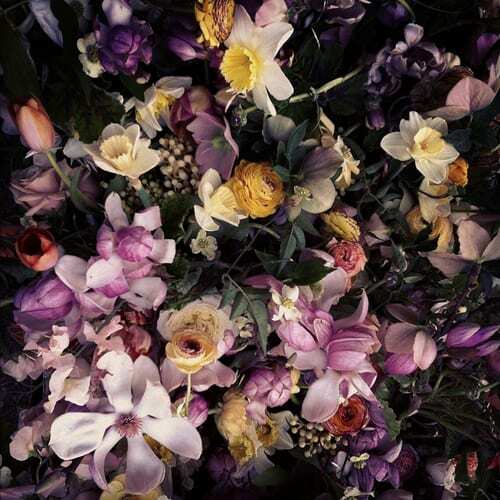 It’ll include floral inspired news, plus exclusive content and previews of what’s coming up on Flowerona. 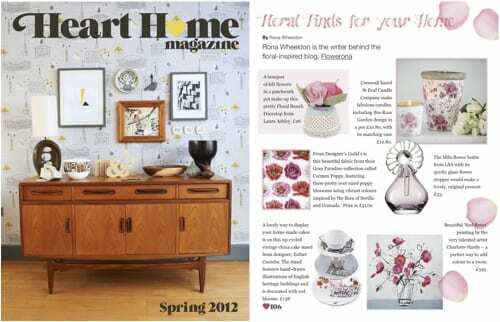 My ‘Floral Finds for you Home’ column appeared in the spring issue of the online magazine, Heart Home. 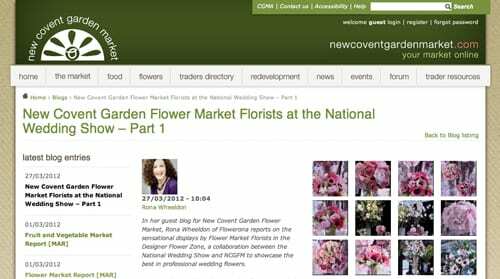 I’m delighted to announce that this week my first guest article for the New Covent Garden Flower Market website was published. It featured my visit to the National Wedding Show. 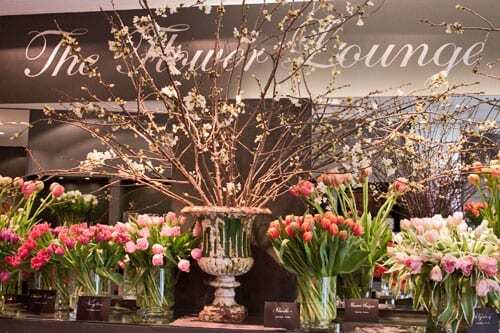 At the show, I took photos of the stands which the flower market florists had created in the Designer Flower Zone. Part 2 will be appearing in due course. 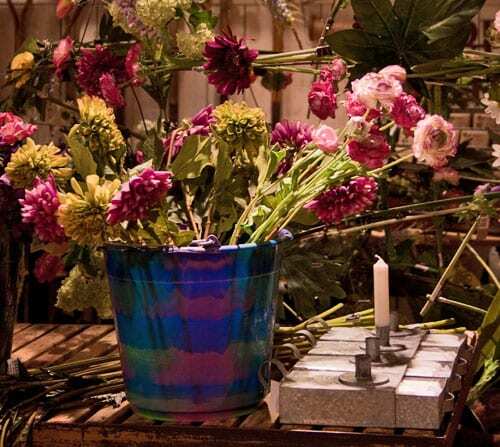 On the Heart Home blog this week, I featured Floral highlights from RE’s new shop at Liberty. So, I hope you have a lovely weekend and see you on Monday!